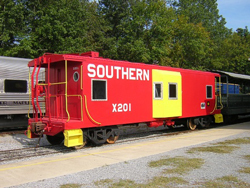 Caboose X201 was built for the Southern Railway in the October of 1971 by Gantt Manufacturing. 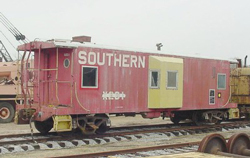 This type of caboose was designated for local train or yard service. Local cabooses were called "yellow bellies" on the Southern Railway and were identified by the yellow bay window. The only electrical appliances on the car are the marker lights on each end which are powered by solar panels on the roof of the car. 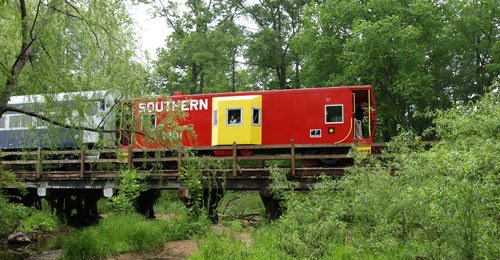 This caboose is privately owned by museum member Jeremy Cole, who bought and restored the caboose himself. 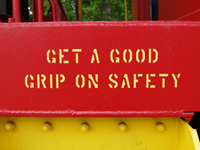 To see photos and read about the restoration of the caboose, click here.